Sometimes, Battle Rattle aims to take on big-time issues. We cover the hardships that grunts face downrange, for example, or we offer a tip of the cap to heroes no longer with us. 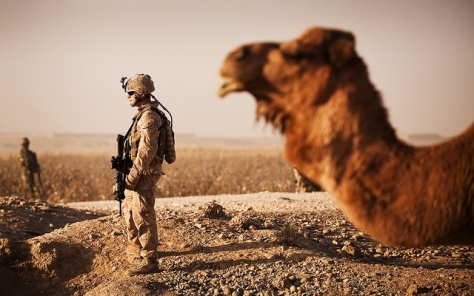 Dude, that’s a pretty cool photo of a Marine and a camel.